The past week or so has been a busy one, to say the least. On top of starting a new job (hooray for gainful employment), there’s also been a number of screenings at Toronto After Dark ( and yes, I will be sharing my thoughts on said films very soon. Honest ) . 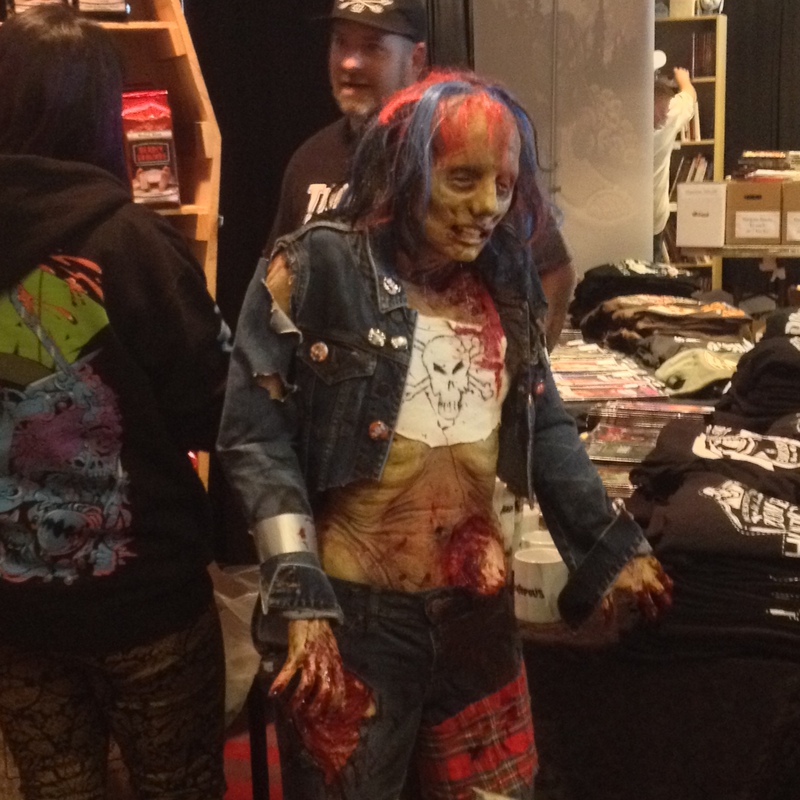 But first, let’s talk about the other genre gathering that just happened this weekend. 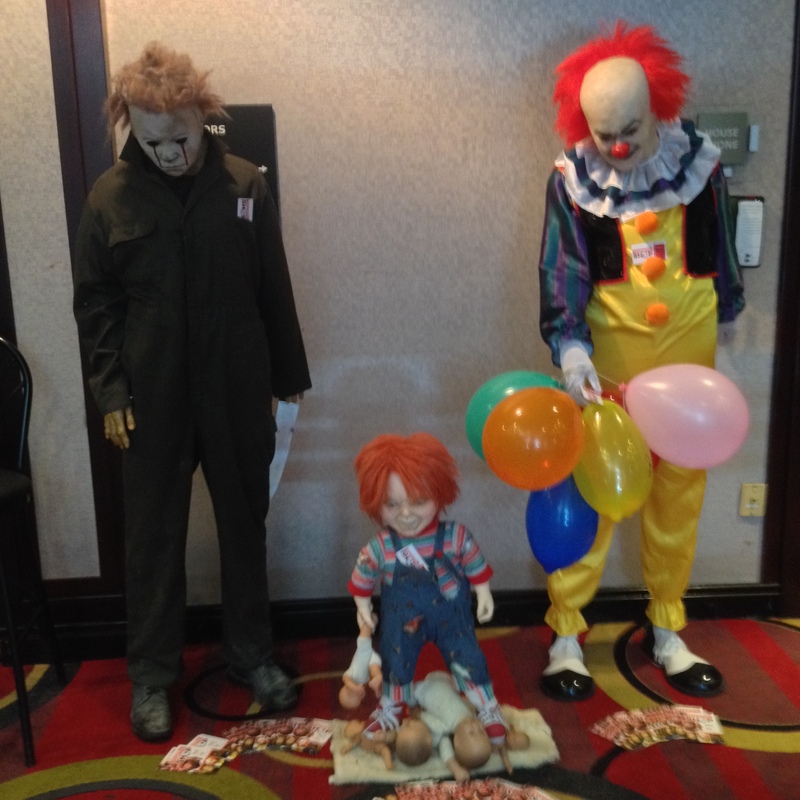 Let’s talk about Horror-Rama Toronto. 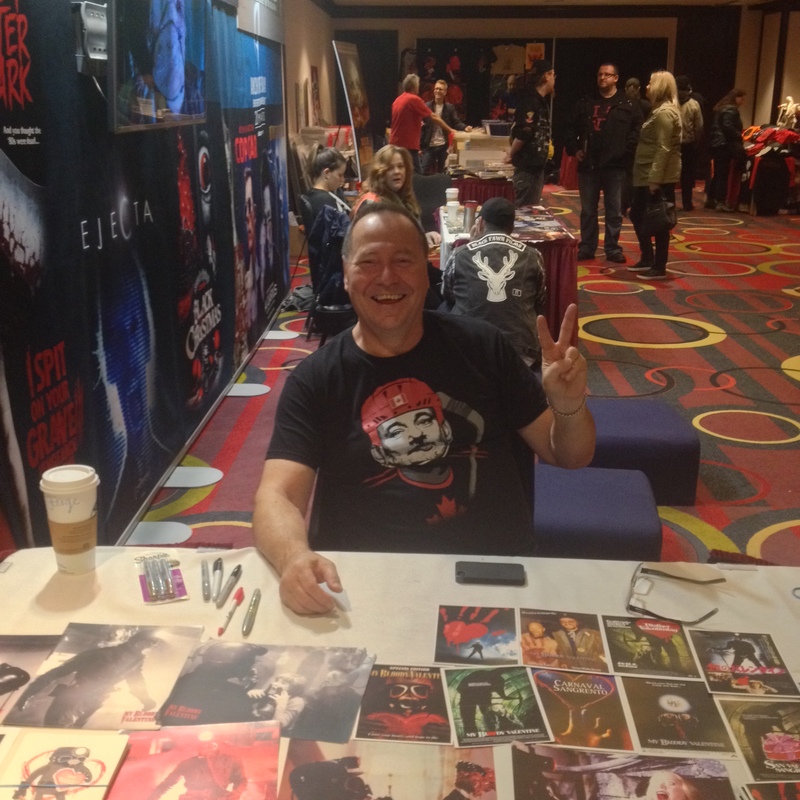 This was year two for the upstart horror convention, spearheaded by Shock Till You Drop’s new editor-in-chief, Chris Alexander, and Suspect Video‘s head honcho, Luis Ceriz, and it can be summed up succinctly: growth. 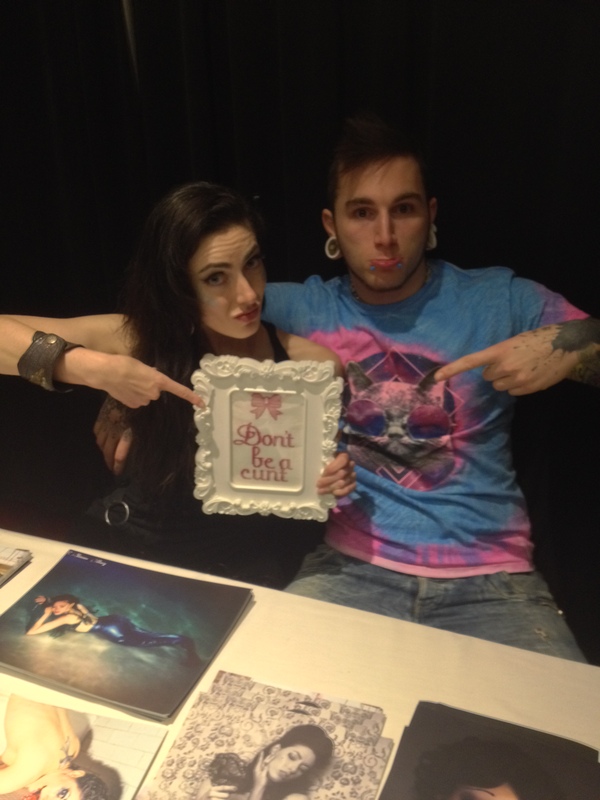 More space ( in downtown Toronto’s The Hyatt Regency ), more guests, more panels, more vendors… just more all around. A sizable leap from last year’s inaugural show, but keeping the cozy ambience. And it’s a nice change of pace. 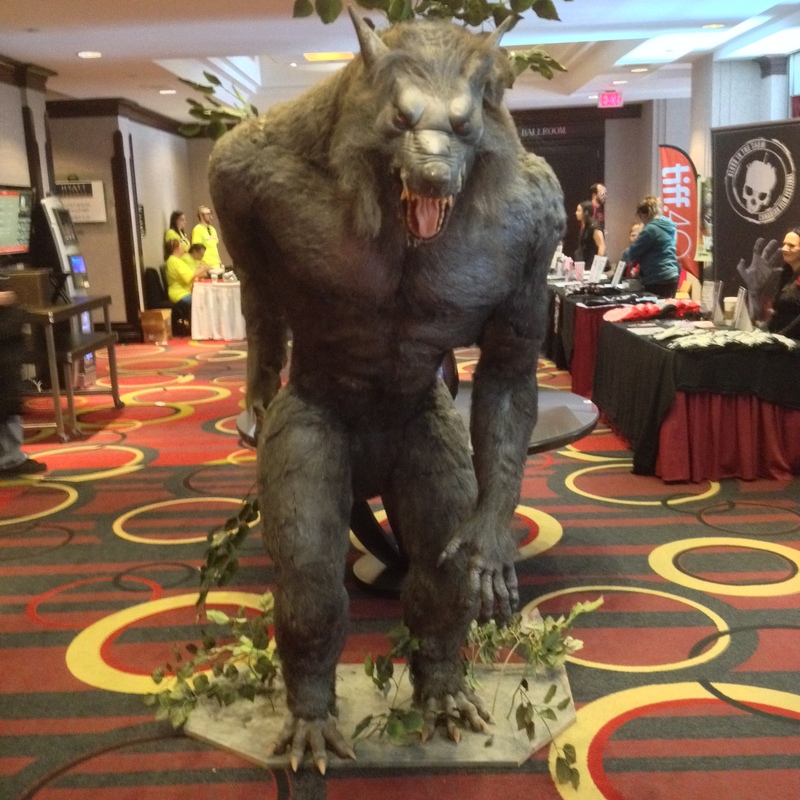 I’ve done my share of the larger conventions across Canada – on both sides of the curtains, as well – so to go to a con where socializing with fellow congoers with room to spare and no need for yelling… it’s actually very welcome. There’s definitely more than enough room for the American-style “hotel con” here in Toronto, especially one that caters to a group that… let’s be honest… tends to get the sharp end of the bloody stick at the larger conventions. I hope this year was a success. I hope it continues to grow with each year. And I know I’ll be back again next year. For now, enjoy some photographic highlights from this year’s show. And thanks to Chris Alexander and Luis Ceriz for letting me play in the sandbox for the weekend. Where wolf? There! There wolf! It was a rough weekend. Rougher for some more than others. So many vendors. 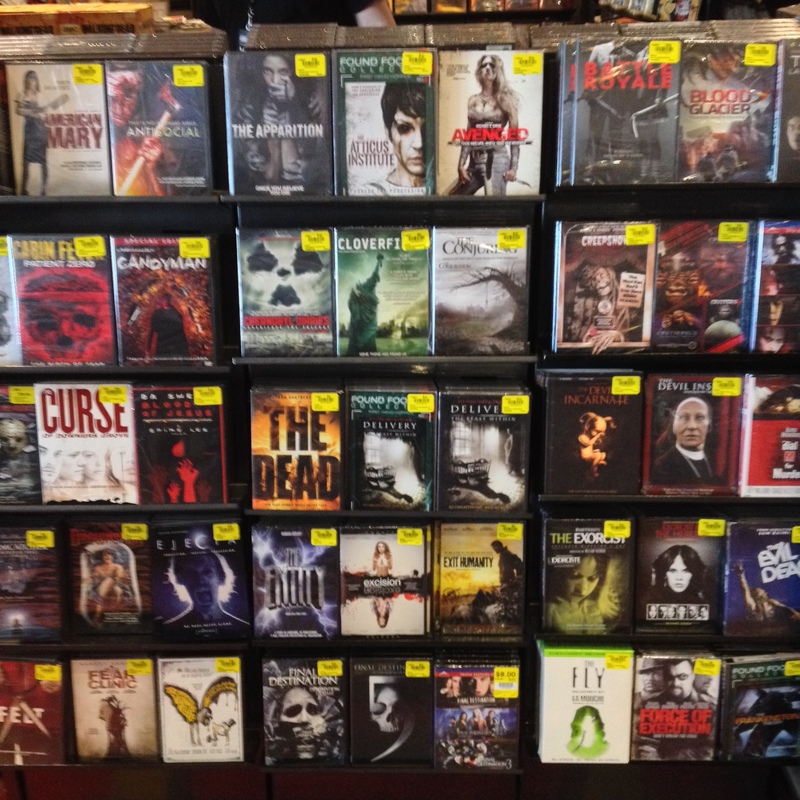 SO many movies. Seriously, between VHS, DVD, rare import, there was literally something for every taste. 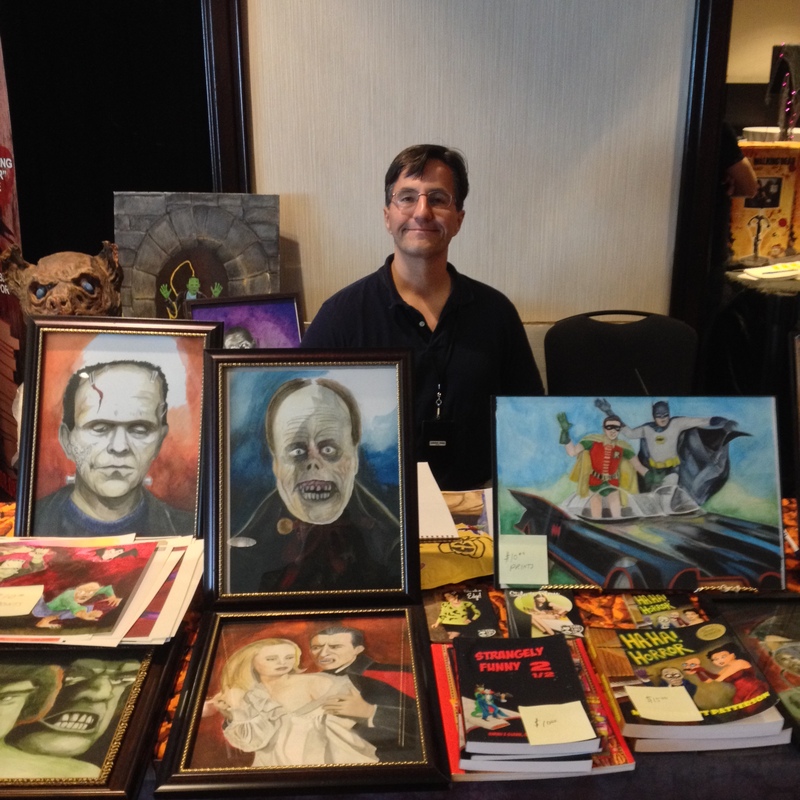 MonsterMatt Patterson, artist and full-grown “monster kid”, selling his works at his table. Convention organizer and weekend MC, Chris Alexander holds court. 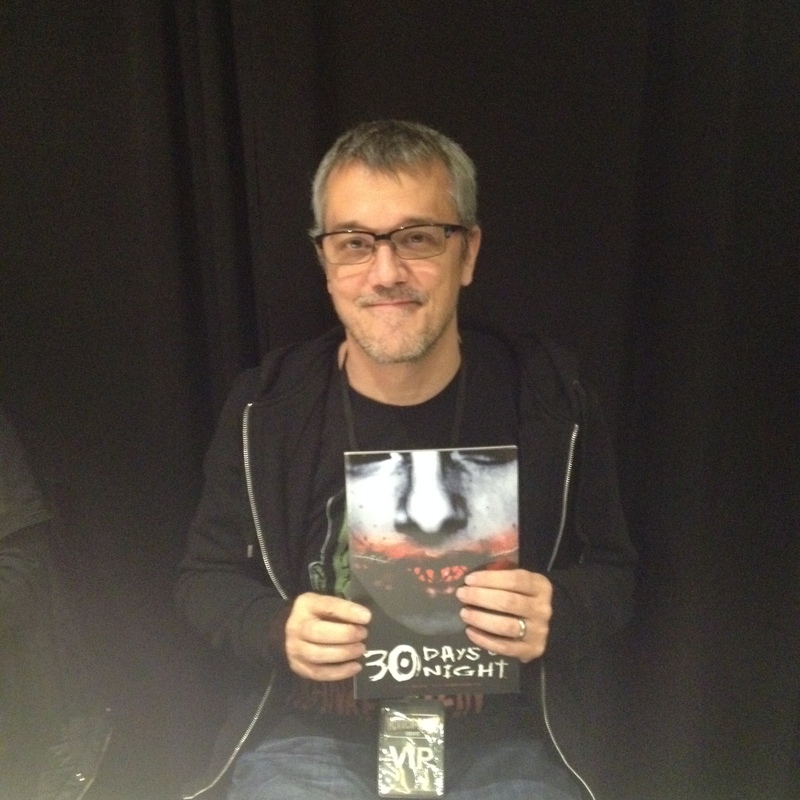 George Mihalka, director of the Canadian slasher cult classic, MY BLOODY VALENTINE, and all around awesome guy. 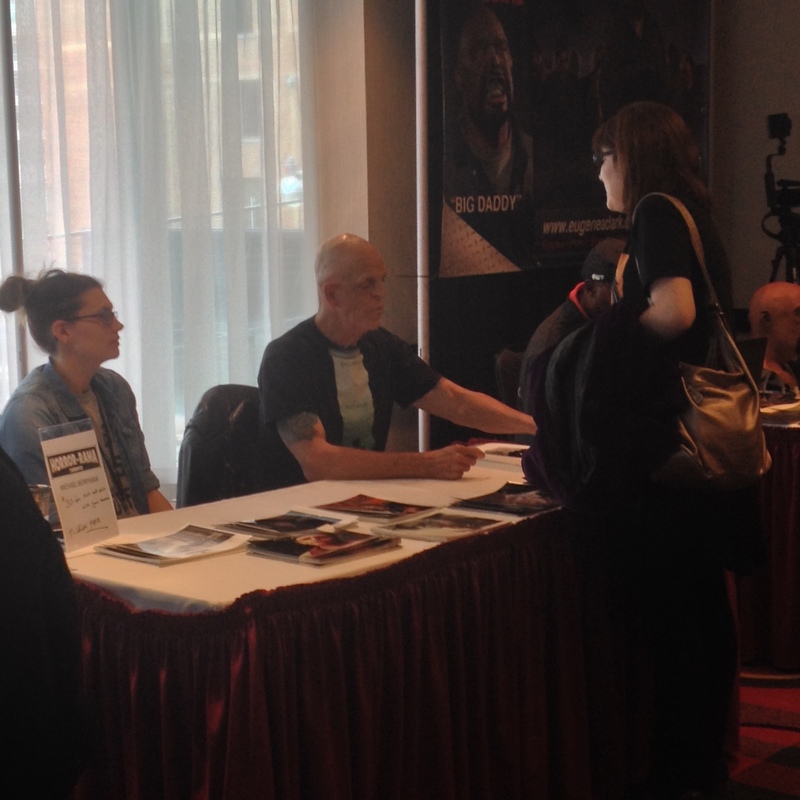 Con guest, and horror icon, Michael Berryman meets a fan. Steve Niles, comic writer extraordinaire, with the book (fittingly so ) that put him on the map and revitalized the horror comics industry. That’s not hype, folks. That’s just science. 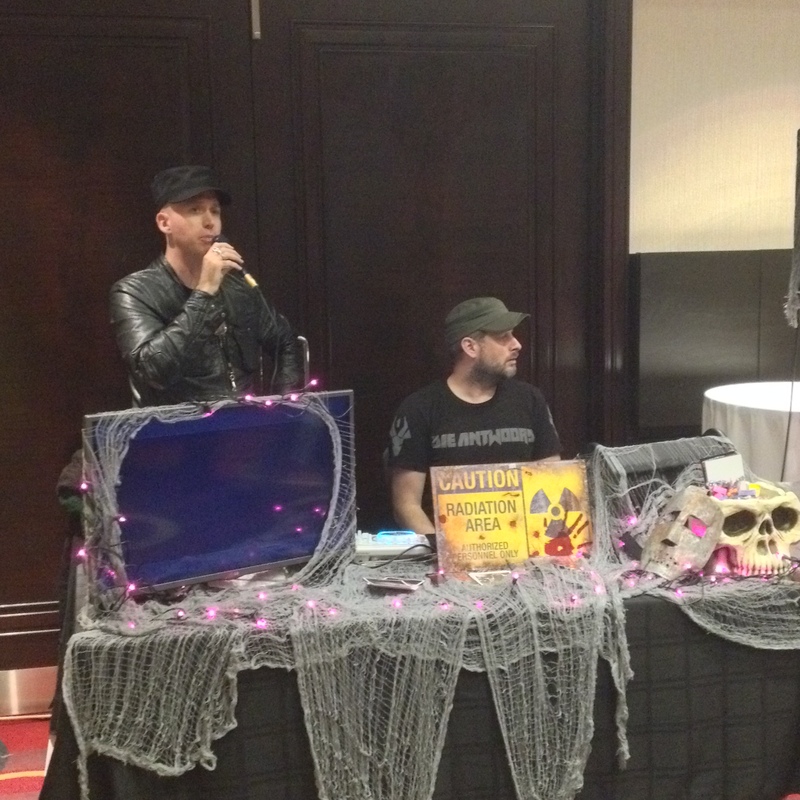 Tristan Risk (AMERICAN MARY, THE EDITOR) with Holy Scar, up to no good at the booth…naturally. Next time: Highlights and recommendations from the tenth annual Toronto After Dark Film Festival. Honest.